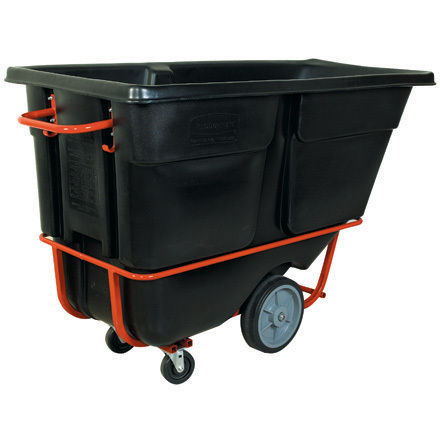 Rugged construction to transport heavy loads with ease. Inset wheels (1/2 cu. yd. and 1 cu. yd. models) protect walls. Domed hinged lids sold separately.